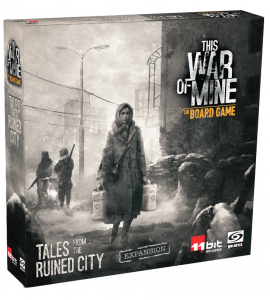 All fans of our bestselling This War Of Mine The Board Game will have the opportunity to grab a pre-release copy of Tales from the Ruined City – the first retail expansion to the game. We will have limited supply of the expansion at the fair, but do not worry – Tales from the Ruined City is about to debut on store shelves in November 2018! 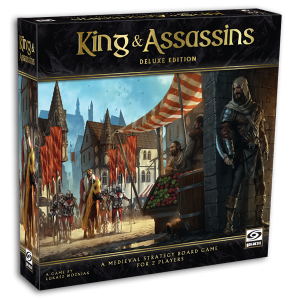 Apart from This War Of Mine The Board Game – Tales from the Ruined City Expansion, we are going to have a new, upgraded edition of our awesome two-player game King & Assassins. As the game celebrates fifth anniversary this year, we decided to prepare an upgraded, deluxe edition. In bigger box you will find a bigger board with completely new artwork. On the board you will be now playing with 23 awesome miniatures, that are going to replace the cardboard standees, that you could meet in the previous, regular edition. The game itself is the same – it is still great two player, asymmetrical game of bluff and risk, in which the king and his knights have to face assassins hidden among regular citizens. Will the king reach his castle safely this time? Or maybe the angry mob will finally get rid of the hated tyrant? These are not all the attractions we will have! 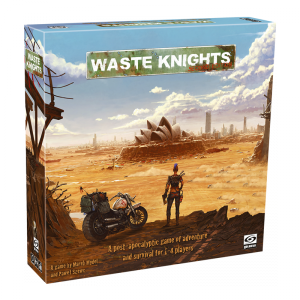 All of you, will have an opportunity to play a demo of our upcoming Kickstarter Project – Waste Knights Second Edition! You can join the first people in the World, who will experience the heroes’ struggles, the dangerous areas of destroyed Australia and travel into a post-apocalyptic world for a moment. We are going to have a special surprise for anybody who demoes a game, but at the moment we do not want to reveal what it will be. In the end, it is a surprise! Of course, this is not all we have to offer you. Visit us at our stand, play games and get them at a special, fair price. If you want to secure a copy of any of our games, the best thing you can do, is to preorder them! This way, we will set aside titles you need, so you could pick them up anytime you want. Note: All preorders have to be collected by Sunday, October 28th, 12:00 (noon local time). Copies remaining after this deadline are going to be made available for sale again. See you soon in Essen!